Nathaniel Burgess (1836-1865) enlisted as a private with the Plymouth Rock Guards, the first three-year company from Plymouth, Massachusetts in May 1861. His company became part of the 3rd Massachusetts Militia and was garrisoned at Fortress Monroe for the first months of the war. Later, in December 1861, the company was transferred to the 29th Massachusetts when that unit was formed. 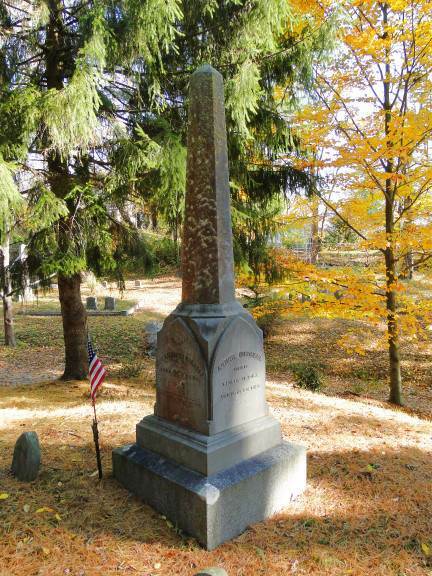 By 1864 he had seen hard service, having fought in many battles with the 29th Massachusetts. During the Assault on Petersburg on June 17, 1864, the 29th Massachusetts made an attempt (along with many other units) to carry Confederate trenches by force with a charge across open ground. Soon after the unit climbed out of their trench, the color bearer was killed and another sergeant from the color guard grasped the colors. He, too, was killed and a third soldier, Sergeant-Major William Willis, carried the flag forward until he fell. When the regiment abandoned the charge and was forced to retreat back to their trenches the colors, during the confusion, were left on the field. This fact was appalling to the men of the regiment. According to the regimental history, a panicked cry swept along their line within the trench, “We’ve lost our flag! We’ve lost our flag!” Major Charles Chipman, then in command of the regiment, asked for three volunteers to go out with him and retrieve the colors. Corporal Nathaniel Burgess was among those who volunteered. The small group crawled out of the trench and advanced across the field in clear view of the Confederates. According to the regimental historian, the Confederates realized what the group was doing and held their fire out of respect for their bravery. They found the body of Sgt. Maj. Willis. Cpl. Burgess took the broken flagstaff from his grasp and carried the torn colors back to their lines. He was promoted to lieutenant for his conduct. Nine months later, after a long Siege of Petersburg, the 29th Massachusetts occupied a position within Fort Stedman, a cluster of batteries on the Union siege line and the closest point between the two opposing lines stretching for miles around Petersburg. Before dawn on March 25, 1865, Confederates made a last effort to break the Union lines with an attack on Fort Stedman. Initially, their stealthy advance met with great success as they gained the open rear sally port and occupied Fort Stedman with barely a shot. A 1,000 foot gap had been opened in the Union siege line–one that the Confederates hoped they could quickly widen and exploit. But the Union counterattack just after dawn quickly drove them out. Fighting within Battery 11 of the fort, the 29th Massachusetts played a large role in pushing the Confederates back and took heavy casualties. Sadly, Lt. Nathaniel Burgess received a mortal wound during the Battle of Fort Stedman, just two weeks before Lee’s surrender. He had served virtually the entire length of the war. He died of his wounds some days later (sources disagree on the date). It is not clear if he survived to learn of Lee’s surrender. Lt. Nathaniel Burgess is buried in Oak Grove Cemetery in Plymouth.